A CRM system is a tool with a lifecycle of 3 years or more and the main purpose of which is to ensure efficient business support. Since the modern business is regularly and constantly changing, consequently, a CRM system has to be modified regularly and instantly, at the same time providing its uninterrupted and sustained functioning. These truisms force the management to find an answer to the question: what is the optimal way to ensure a CRM system support and enhancement: either by applying in-house resource or by outsourcing? With many years of the SugarCRM support experience, provided to the companies from various industries and countries, we are open with our customers speaking not only about obvious advantages, but about the shadowed side of outsourcing as well. 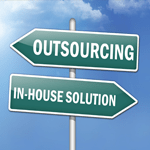 Outsourcing a CRM support, all these issues are no longer your business. You pay only for the service needed at the particular moment based on previously specified conditions. Since a professional integrator of CRM solutions possesses personnel resource, normally unavailable for a non-core organization, outsourcing not only provides the reduction of CRM support costs but also ensures higher quality of services in best time. 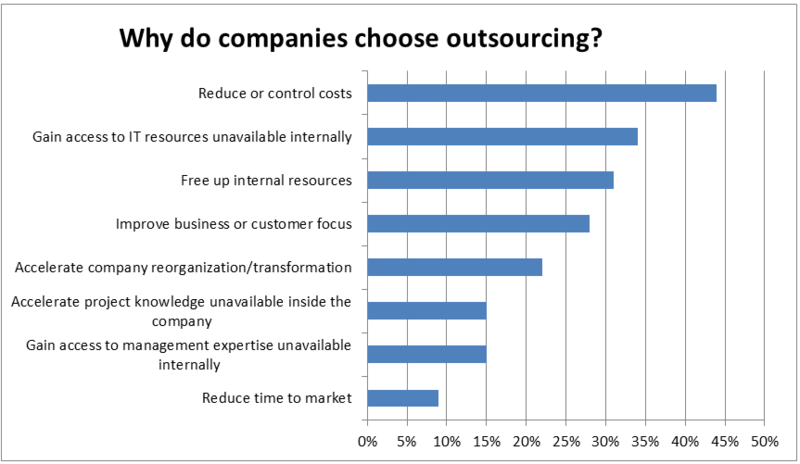 Nevertheless, despite of the obvious economic gain of a CRM system support outsourcing, the issue requires a balanced decision. For 12 years INTEGROS has provided SugarCRM support to various companies based in different countries so our experience allows us to focus the attention on a number of aspects that are worth knowing about and that should be discussed before transferring a SugarCRM support to outsourcing. Let us take a look at each of them, from a simple to more complicated ones. Speed service delivery. Choosing a CRM support team, especially from abroad and moreover from another continent, one should take into account the service speed level. If it concerns the CRM system customization, the issue is not that critical, but if you outsource the user support and there are 6 time zones between you and a service provider, you have to be sure that the provider will be able to consult your specialists at the operational time that is required. Confidentiality. In any event you will have to provide a CRM system support supplier with the access to some confidential information. Therefore, sensitive data access rules have to be agreed upon in detail and NDA has to be signed. But even more crucial thing is to stipulate the working rules of the service provider with your direct competitors in advance, especially on the territory where your company operates. Costs control. Involving the competences you do not personally possess, there is a risk to lose control over the relevance of the work scope done and its cost, which can even the outsourcing economic benefit. To prevent this you have to make sure that the supplier will provide you with detailed reports on specialists’ work of all categories and at the same time you should have the right to disapprove the billing of the “doubtful” works. Security. As they say: “All good things come to an end” and even the most intimate alliances may fall apart. There may be varied reasons for that: an outsourcer leaves the business, your dissatisfaction with the service quality or price, etc. In order not to lose control over a vital business system, such a communication model should be built with an outsourcer which will allow using the outsourcing advantages but your company will not become a partnership victim with the service provider. First and foremost it concerns the work registration rules and procedures: business requirements, software code and releases documentation. Make sure that everything that is transferred by the service provider will be properly documented, since it is your guarantee to pass on the CRM support to a more efficient team. We hope that INTEGROS’s experience and recommendations will help you take advantage of all the benefits outsourcing presents and at the same time maintain control over a CRM system, guarantee confidentiality and service efficiency.